Remember that shot in the first trailer for the upcoming Jurassic World sequel Jurassic World in which Parks and Rec 's Chris Pratt appeared to be driving along on his bike surrounded by what appeared to be a motorcycle gang of velociraptors? It was pretty memorable — arguably the most memorable moment from the trailer, even with that shark-eating dino and that franken-dino threatening to eat everyone. Well now we've got a new shot of Pratt hanging out with his raptor gang. Straight-up chillin', if you will. 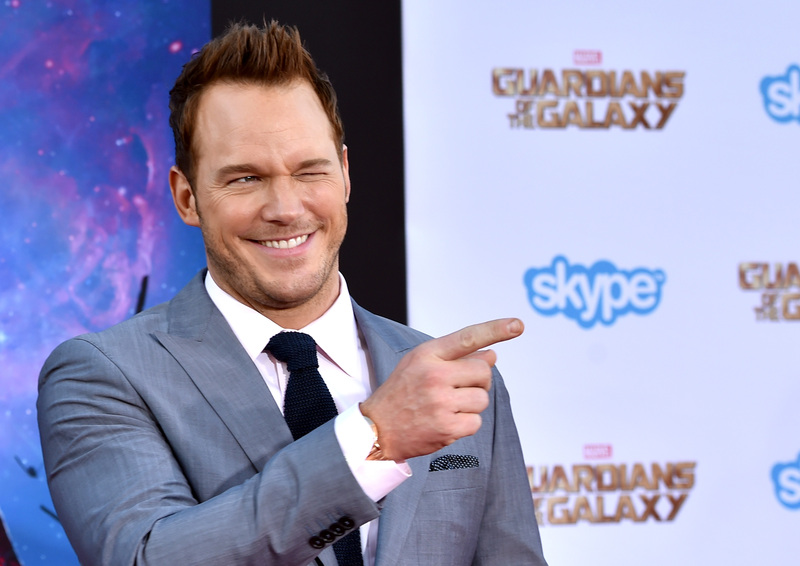 Jurassic World features Pratt playing a character who's been researching raptors. Apparently that research involved becoming friends with them, or at least training them to do his bidding enough to trust them to flank him on all sides as they go off on some unnamed quest (probably to fight that aforementioned franken-dino). Jurassic World director Colin Trevorrow posted an image "from the editing room" that appears to be a still from the film in which Pratt is just chillin' with his raptor friends again. As The Mary Sue's Carolyn Cox put it, "On Dasher, on Dancer, on Prancer, on Vixen! On Comet, and Cupid, and Donner, and Knives!" We're still in the fledgeling stages of Jurassic World goodies, but here's to hoping the raptor gang becomes some sort of meme in 2015. I'm also wondering what the kids from the original Jurassic Park have to say about this newfangled raptor gang. And do you think Tom Hiddleston's involved, too?